After you have decided on what question to ask, you can begin authoring the choices for the question. For this question, Choice A is the correct answer. 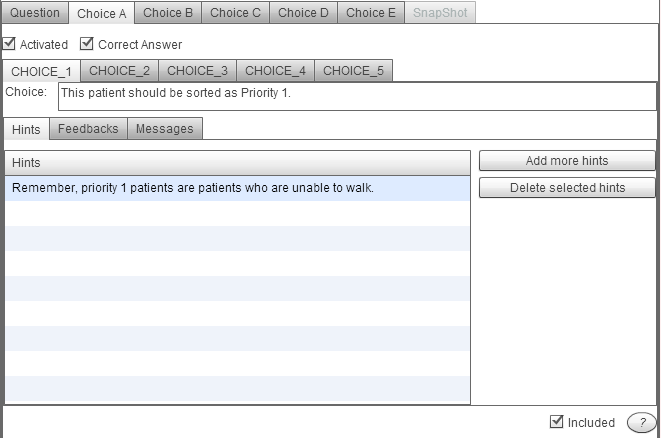 To indicate that this is the correct answer, mark the "Correct Answer" box. The "included" and "activated" boxes are also checked to insure that this choice is displayed to the user.